What was Roberto Luongo thinking? Roberto Luongo was pulled from the net early in the third period of last night’s 4-1 loss to the Dallas Stars. It was a tough night for the Canucks’ netminder as he let in the 4 goals on only 19 shots in 42 minutes of work. 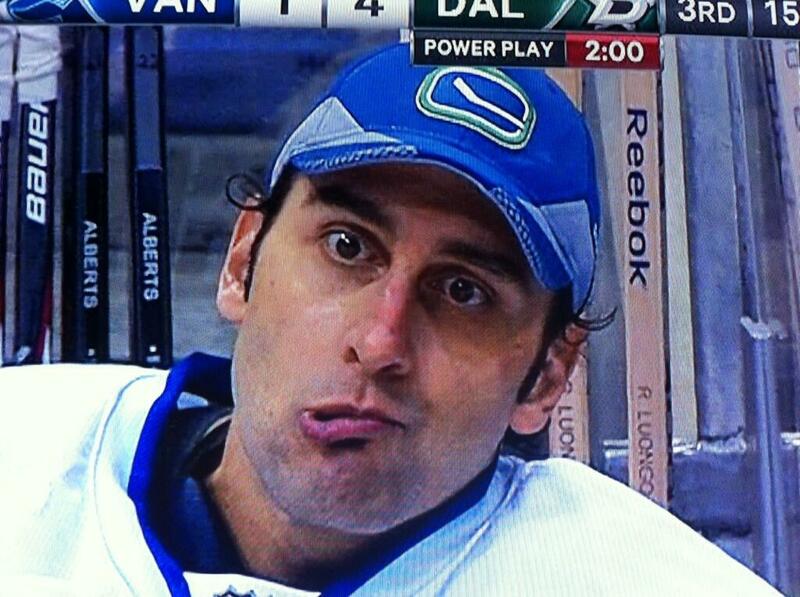 Shortly after being pulled, the cameras caught Luongo on the bench making the above face. Was he replaying the goals in his head? Sucking on a sour candy? Fighting off a stomach ache? With the help of the Twittersphere, I was able to discover some possibilities. In fact, I received the highest number of submissions ever for a CHB Top 10. These 4 replies are a reference to a couple of tweets that came from Luongo’s account over the past couple days from a website or app that claims to measure your Twitter value. Luongo has since deleted the tweets. You can never go wrong with toilet humour. The tweet from @Rozzy80 is a reference to the famous playoff game of May 2007 when backup Dany Sabourin had to fill in for Luongo in a playoff game – in overtime no less – for a few minutes while Luongo had an untimely case of diarrhea.